Bergdorf - Growmaster 30K - 8 x 600w Lights The Growmaster provides refinements that are not found in standard domestic mini split units making them a good option for an entry level air-conditioning system for the hobby horticultural market. The Growmaster will provide daytime cooling for up to 8..
​ Opticlimate 3500 Pro 3 The OptiClimate Pro 3 Series water-cooled air conditioner is the only true total solution for indoor climate control. 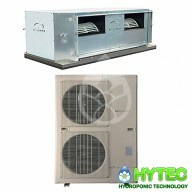 It cools, heats, dehumidifies, filters and circulates air. It was developed independently, resulting in a fully optimised & efficient product..
OptiClimate Pro 3 6000 The OptiClimate Pro 3 Series water-cooled air conditioner is the only true total solution for indoor climate control. 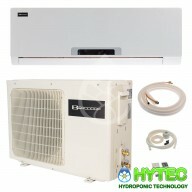 It cools, heats, dehumidifies, filters and circulates air. It was developed independently, resulting in a fully optimised & efficient product that contr..
OptiClimate 3500 PRO4 The OptiClimate 3500 PRO4 from the new PRO 4 series is a lot more efficient with water and electricity and has a much higher dehumidifying capacity. Specifications Cooling capacity: 3,5 kW Dimensions: 870 x 630 x 405 mm Weight: 58 kg Water usage: 1 up to..
​ OptiClimate Pro 3 10000 The OptiClimate Pro 3 Series water-cooled air conditioner is the only true total solution for indoor climate control. It cools, heats, dehumidifies, filters and circulates air. 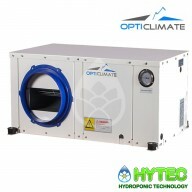 It was developed independently, resulting in a fully optimised & efficient product that..
OptiClimate 6500 PRO4 The OptiClimate 6500 PRO4 from the new PRO 4 series is a lot more efficient with water and electricity and has a much higher dehumidifying capacity. Specifications Cooling capacity: 6 kW Dimensions: 990 x 760 x 505 mm Weight: 85 kg Water usage: 2 up to 4..
OptiClimate Pro 3 15000 The OptiClimate Pro 3 Series water-cooled air conditioner is the only true total solution for indoor climate control. It cools, heats, dehumidifies, filters and circulates air. It was developed independently, resulting in a fully optimised & efficient product that cont..
OptiClimate 10000 PRO4 The OptiClimate 10000 PRO4 from the new PRO 4 series is a lot more efficient with water and electricity and has a much higher dehumidifying capacity. 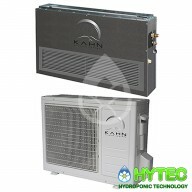 Specifications Cooling capacity: 10 kW Dimensions: 1050 x 800 x 505 mm Weight: 125 kg Water u..
Kahn Climate Control - Little Boy 18k - 22-24 x 600w Kahn Climate Control Systems provide accurate day and night temperatures in a sealed or non sealed environment. 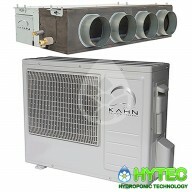 Just set your target temperatures and the Kahn System will work effortlessly to maintain them by providing heating or cooling as req..
OptiClimate 15000 PRO4 The OptiClimate 15000 PRO4 from the new PRO 4 series is a lot more efficient with water and electricity and has a much higher dehumidifying capacity. Specifications Cooling capacity: 15 kW Dimensions: 1230 x 900 x 545 mm Weight: 165 kg Water u..
Kahn Climate Control - Fat Man 28K - 32-34 x 600w Kahn Climate Control Systems provide accurate day and night temperatures in a sealed or non sealed environment. Just set your target temperatures and the Kahn System will work effortlessly to maintain them by providing heating or cooling as requir..